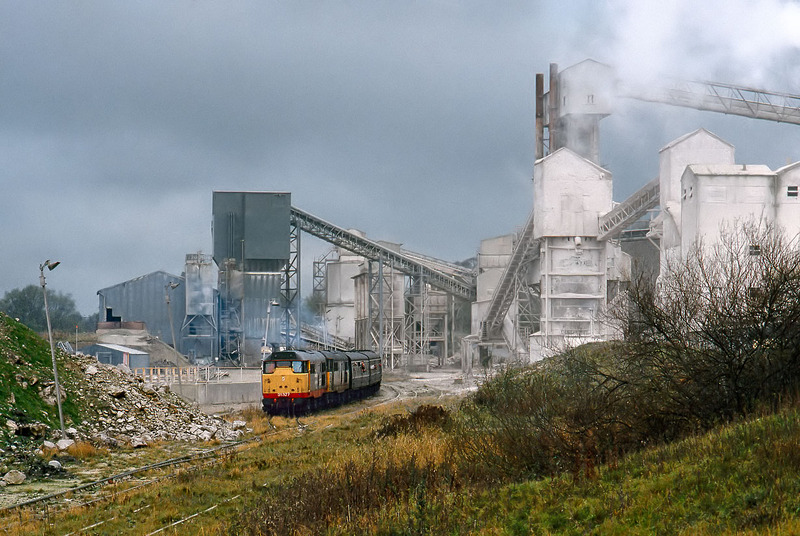 31327 & 31294 are dwarfed by the lime coated buildings of Swinden Quarry, at Rylstone on 27 October 1990. They have just arrived with the Pathfinder Tours 1Z38 'Rylstone Cowboy' railtour from Swindon. This deliberately distant viewpoint was chosen to show how small the train appears amid the industrial setting.